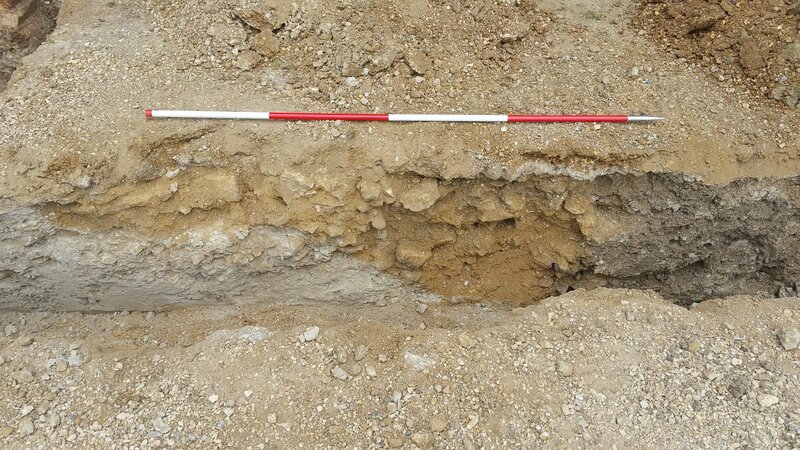 An archaeological watching brief was carried out by Oakford Archaeology between July and October 2016 during works at Milton Abbey, Milton Abbas, Dorset. 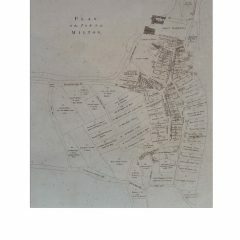 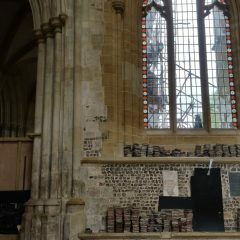 The works inside the church revealed new information about the construction and phasing of the current church. 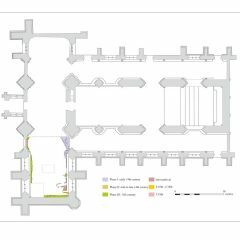 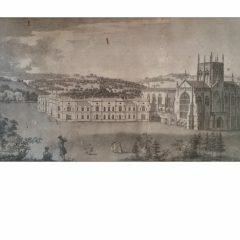 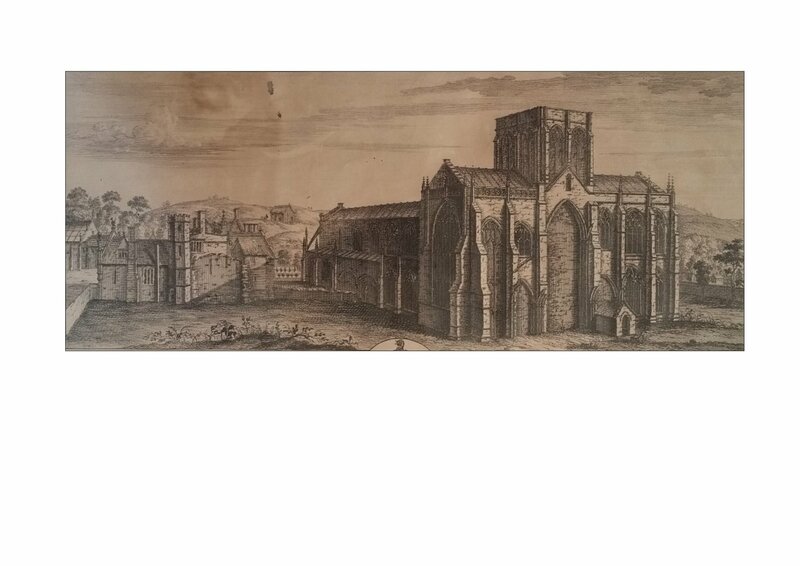 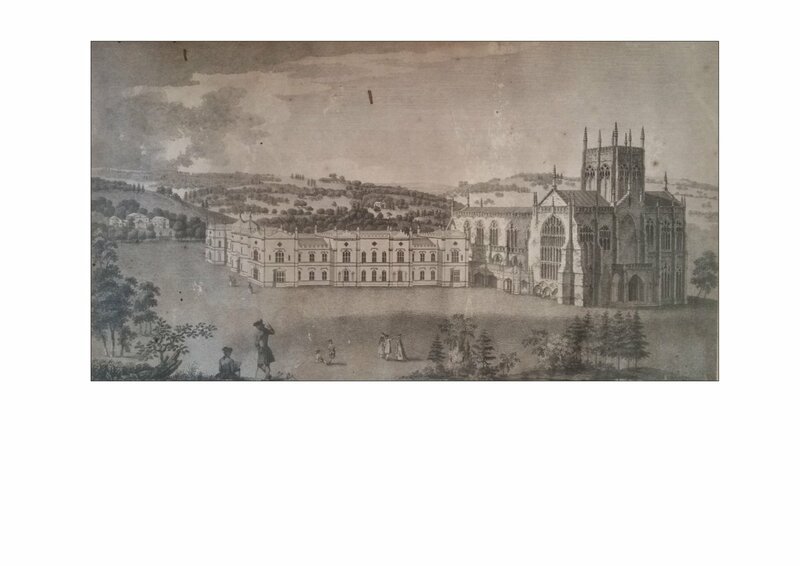 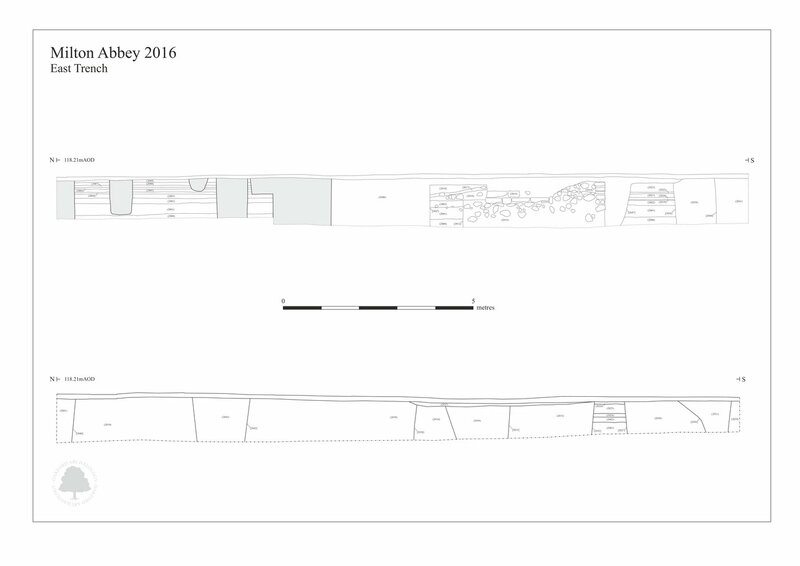 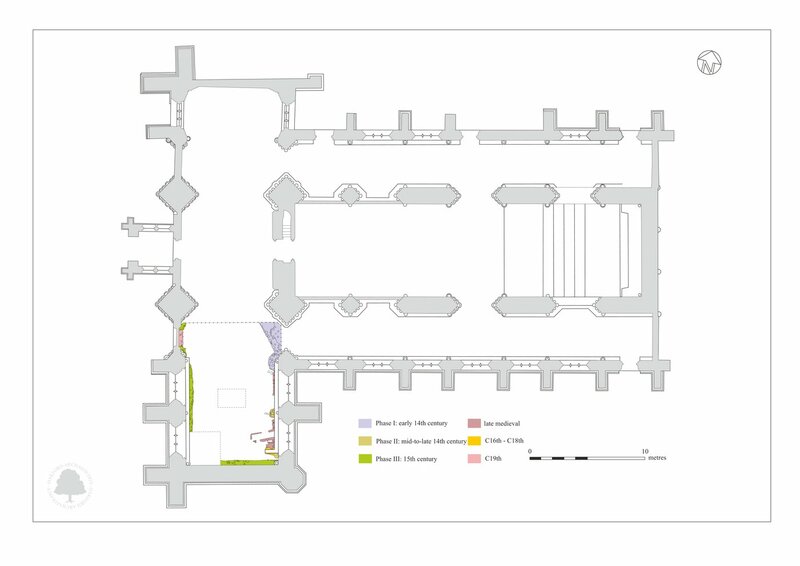 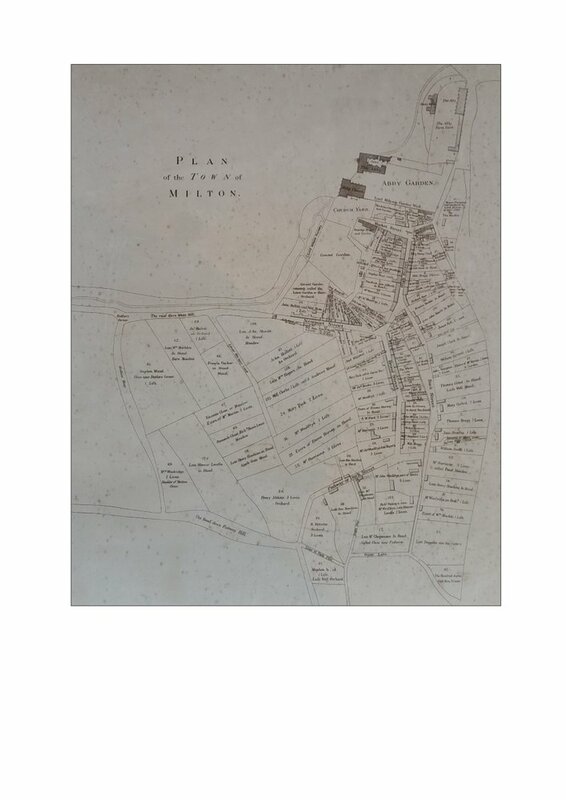 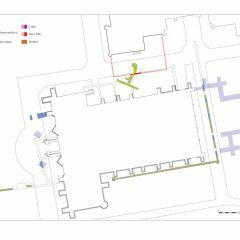 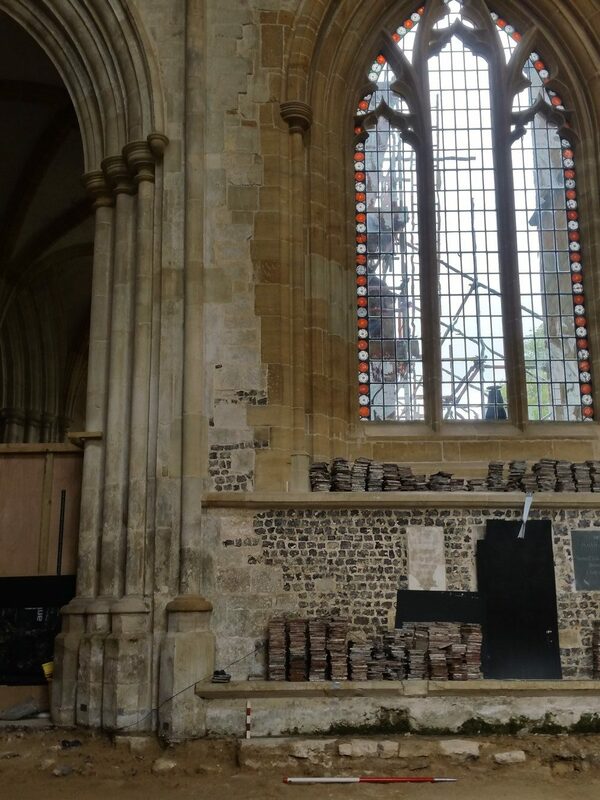 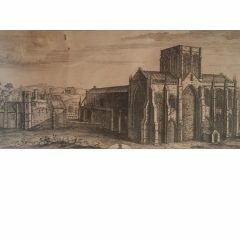 The RCHME report has suggested a largely 14th century date for the south transept, whereas the excavations within the south transept have identified three phases of medieval construction. 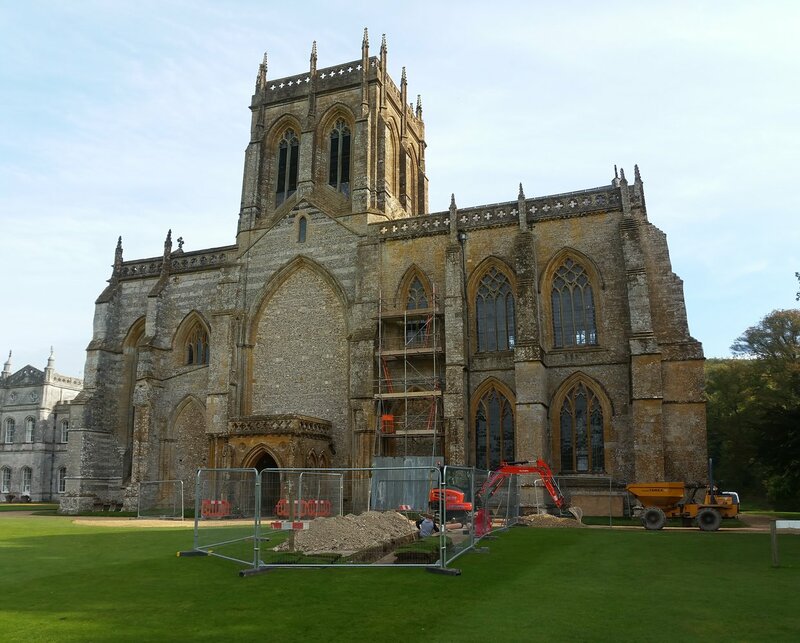 The external excavations revealed elements of the extensive medieval graveyard to the south of the unfinished nave and the medieval and post-medieval graveyard to the south of the choir. 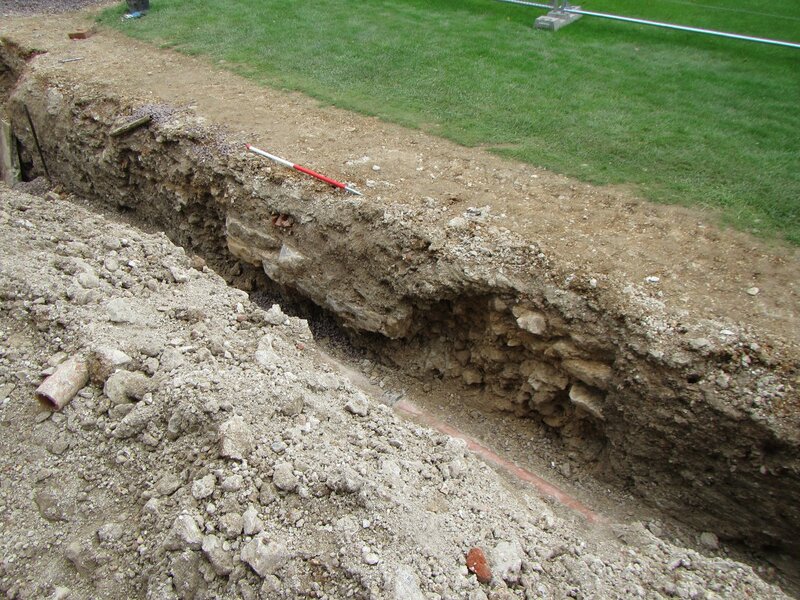 The trenching exposed elements of the north chancel chapel, as well as the heavily robbed-out remains of the Lady Chapel and south chancel chapel. 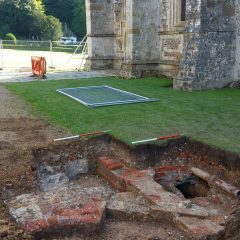 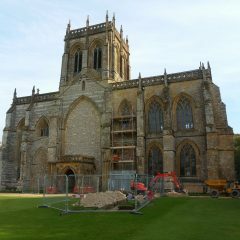 Furthermore, excavations on the north side of the abbey church exposed a structure or building dating to the period after the dissolution. 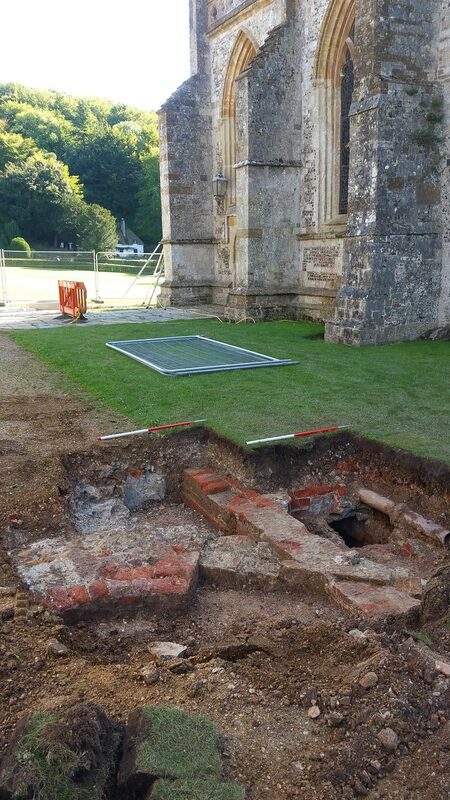 Finally, the foundations of the eastern most pier bases in the nave were also uncovered. 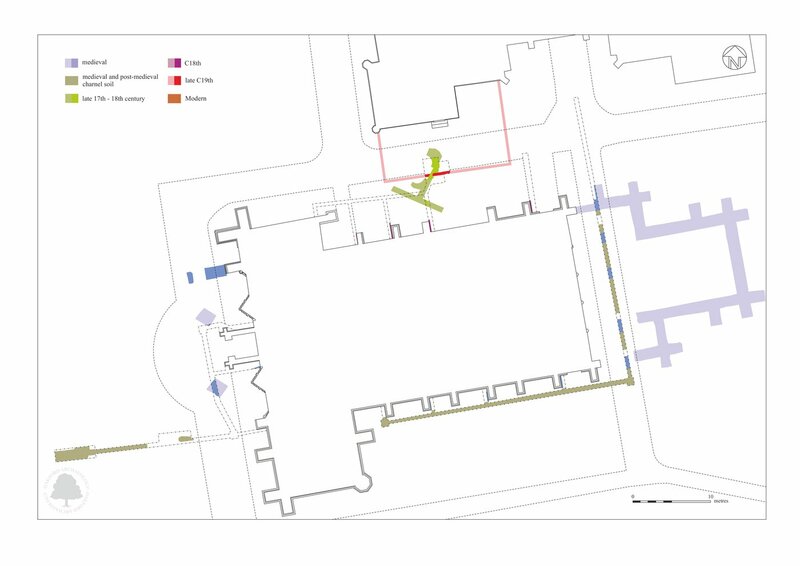 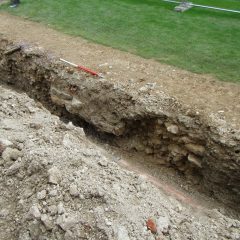 No elements of the early church have been exposed within the trenching on the site of the former Lady Chapel, suggesting that the current building was built away from the earlier structure. 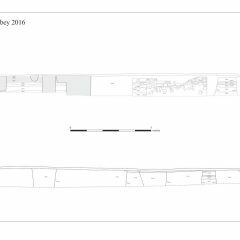 The finds recovered from the site contained a small quantity of 12th – 13th century coarsewares, and a single sherd dating to the late medieval period. 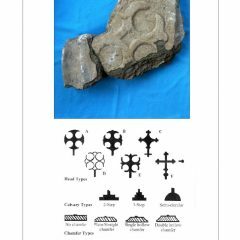 In addition, a total of 13 architectural fragments, largely belonging to the later church and ancillary monastic ranges, were retrieved during the works. 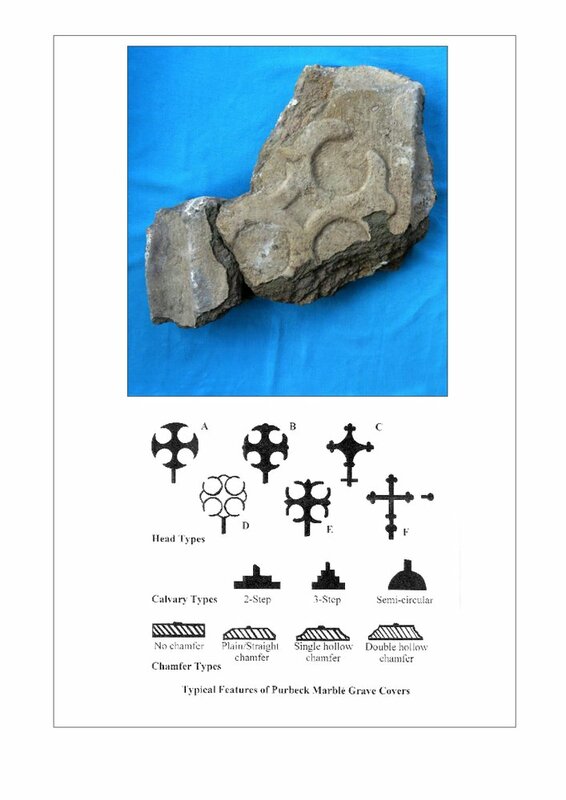 However, four architectural fragments belonging to the earlier church were identified. 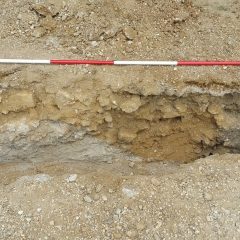 These included a limestone fragment with chevron decoration dating to the 12th century and two conjoining fragments from a Purbeck marble tomb cover dating to the 12th-13th century.